Netflix premiered the first trailer for the upcoming landmark natural history series Our Planet during the Super Bowl. The documentary series is from the creator of Planet Earth and is produced in partnership with World Wildlife Fund. Additionally, the series is narrated by naturalist Sir David Attenborough. This is the first time a nature documentary series has been featured in a Super Bowl commercial. As we see in the Super Bowl spot, Our Planet consists of eight parts and it explores the unique and precious wonders of our natural world. In partnership with World Wildlife Fund, the documentary combines stunning photography and technology with an unprecedented, never-before-filmed look at the planet's remaining wilderness areas and their animal inhabitants. The ambitious four-year project has been filmed in 50 countries across all the continents of the world, with over 600 crew members capturing more than 3,500 filming days, and will focus on the breadth of the diversity of habitats around the world, from the remote Arctic wilderness and mysterious deep oceans to the vast landscapes of Africa and diverse jungles of South America. David Attenborough spoke about the Netflix docuseries Our Planet late last year at the WWF's State of the Planet event in London. Attenborough says that the documentary is a "spectacular journey of discovery showcasing the beauty and fragility of our natural world." Dave Attenborough went on to talk about how humans are the biggest threat to the planet, but revealed that it's not too late to fix things. He explains. "We need the world to pay attention. Our Planet brings together some of the world's best filmmakers and conservationists and I'm delighted to help bring this important story to millions of people worldwide." Lisa Nishimura, Vice President of Netflix Original Documentaries, also talked about the streaming platform's excitement to release Our Planet. She said that the documentary is a "phenomenal achievement by Alastair Fothergill, Keith Scholey and all at Silverback Productions." From the looks of the trailer, Our Planet will be a stunning view into our world. Nishimura had this to say. 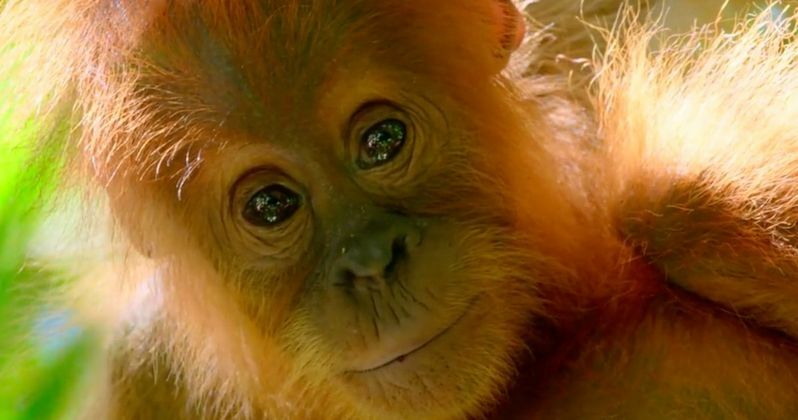 "We are delighted that Sir David Attenborough will voice the series and that Netflix, as a global platform, is able to bring this vital and magical series to an audience of over 190 countries worldwide next year." Our Planet will debut April 5th, exclusively on Netflix. BBC produced the Planet Earth series and they claim that the new documentary is a rip off. The BBC went on to accuse the new documentary of stealing their filming techniques and says that there's nothing original about it. It looks like things have been settled for now, and the BBC states they have never had a problem with Sir David Attenborough. Whatever the case may be, Our Planet looks like it will be a fascinating documentary series about raising awareness to save our world. You can watch the first trailer for Our Planet below, thanks to the Netflix YouTube channel.